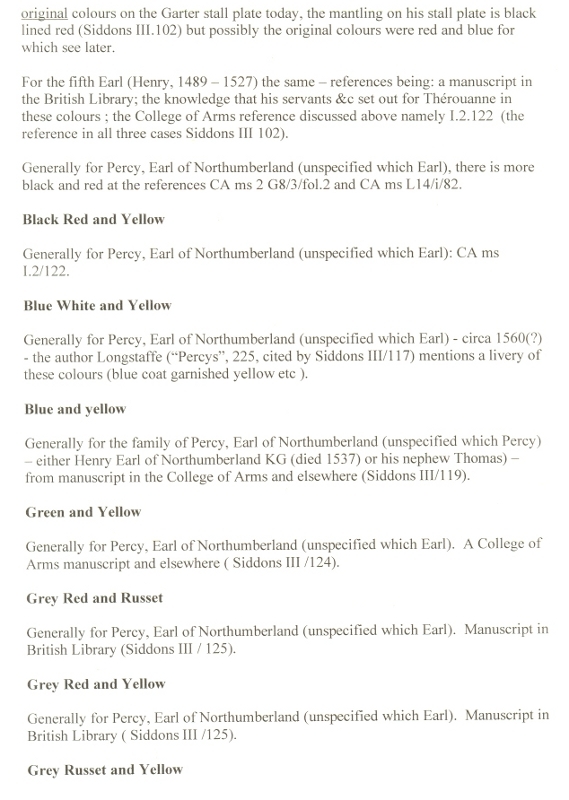 I have recently been researching the Livery colours used by the Earls of Northumberland- especially during the Wars of the Roses. 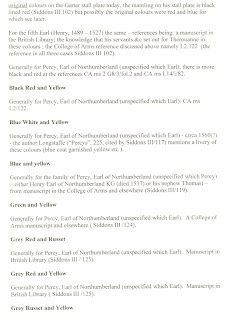 Several sources suggested Gules and Sable (Red and Black), but 2 modern books, namely Osprey's 'The Wars of the Roses' and WRG's 'Armies of the Middle Ages, Vol 1' said the Livery colours used was Russet, Or and Tawny (Brown, yellow and orange). 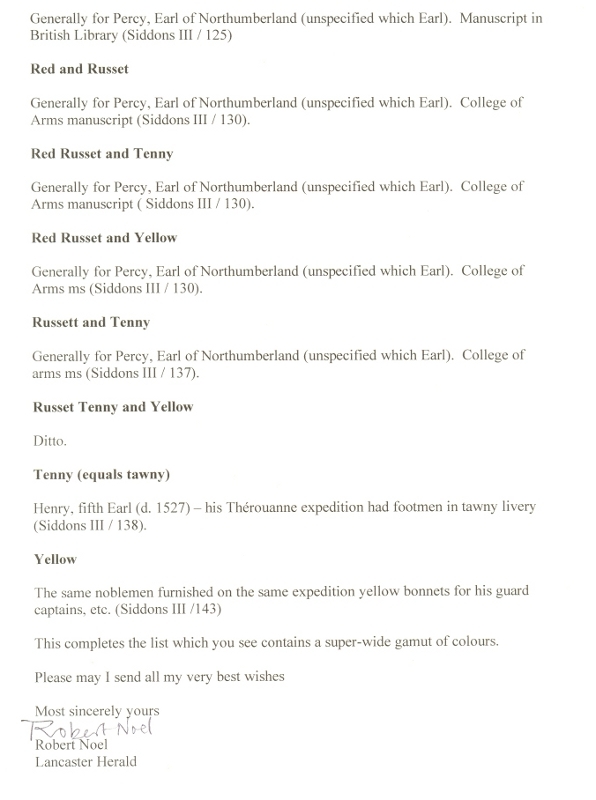 I took their advice, especially as T Wise's Osprey book quoted the College of Arms as his source. I contacted Alnwick castle, and their archivist referred me to a book available on Project Guttenberg. This used an archeological study of church windows etc. This book suggested Gules and Sable except for The 4th Earl, who's troops fought with Henry viii in France in 1513, who may have used Russet,Or and Tawney. 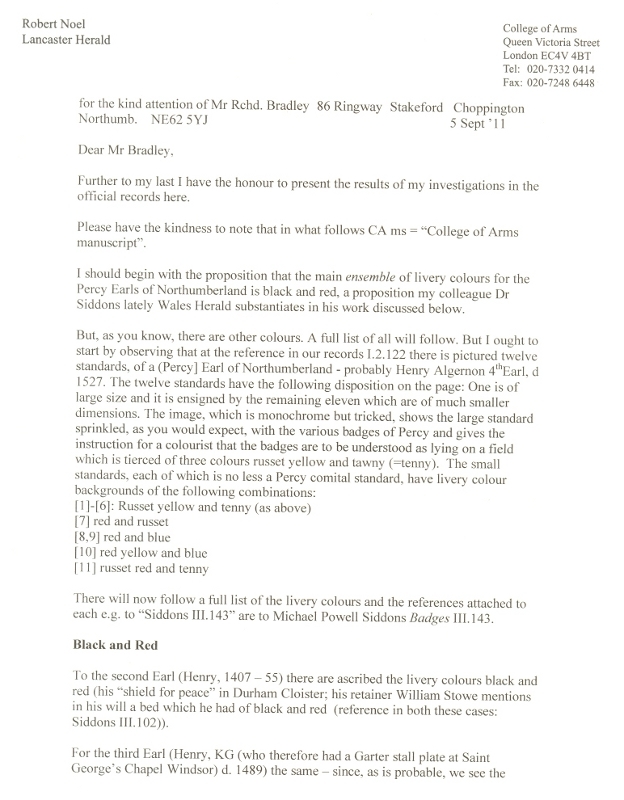 To be sure, I approached the College of Arms myself. 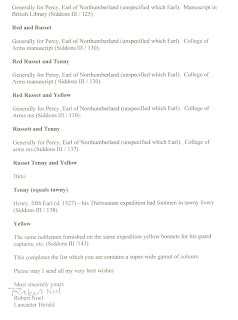 The Lancaster Herald, Robert Noel, was very helpful, and sent a fairly comprehensive reply, as well as several copied pages from the seminal volume 3 of 'Heraldic Badges in England and Wales' by M.P.Siddons, Wales Herald Extraordinary of the College of Arms. From this I think it is reasonable to assume the Percies retinue troops wore Gules and Sable during the majority of the medieval period. Damn, now that's called research sir.
! !That is a lot of research. Sorry to read about the loss of your cat....very sad :-( My pair (bro and sis) died at 15 yrs old within 3 months of each other...I feel for you mate. Thanks Paul! - I feel for your loss too! - both cats in such a short time. 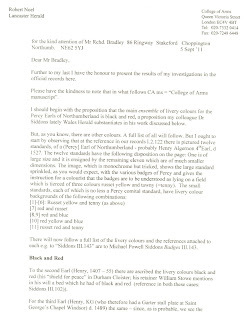 I had to do the research as it was a constant annoyance having no clear answer as to the Percy livery. Just shows that modern authorities need to be checked! Even with loads of bods to repaint - I am happy now!--I just wish I could paint as fast as you!! !